Local teens at park-district dances nurtured juke to become a countrywide craze. Juke music—extra-fast, often raunchily rapped electronic dance—may excite the American Apparel–wearing kids in North Side clubs, but for much of the ’90s it was an underground phenomenon confined to the city’s South and West Sides. Juke grew out of—and is simply an updated name for—ghetto house music, a high BPM spin-off of house that DJ Deeon and DJ Funk pioneered and popularized in the early ’90s. Until recently, big club promoters wouldn’t touch ghetto house with a ten-foot pole; most dismissed it as teen music. Instead, the music took hold in high-school gyms, park-district dances and at picnics. 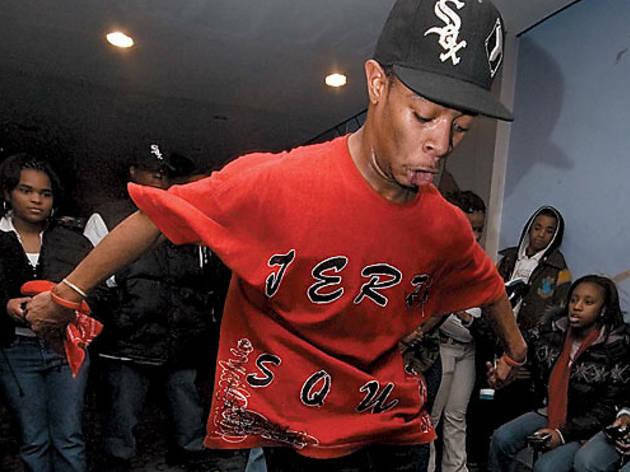 It was at these parties that teens developed the energetic steps known as footwork—a lightning-fast blend of Chicago stepper’s moves, hip-hop’s uprocking and ’90s rave dancing. The Boys and Girls Club on 51st and Federal Streets and the Dolton Expo Center in Dolton became hot spots for dance competitions among kids from battle cliques such as Dance-o-Matics and a showcase for juke experts like DJ Slugo. In the late ’90s, another generation of ghetto house producers came along, and DJ Puncho (Don Peko) and Gant-Man (Gant Garrard) created a new term for the music. “We were at this high-school party…[when] we heard these girls say, ‘This party is juking,’ says Gant-Man, who lives in West Town. He and Puncho threw the word on the 1997 track “Juke It” and numerous mix tapes in the late ’90s: By 2002, the name had stuck. Those handheld blender–like moves have captured mainstream music’s attention and earned the genre the most notoriety. Missy Elliott features the Full Effect troupe on her “Lose Control” video and brought footworkers onstage at the 2005 BET Awards. In 2007, the genre hit the charts with Chicago duo Dude N Nem’s “Watch My Feet” single. These days, juke beats are hot with hipsters and dance heads in clubs like Subterranean, Betty’s Blue Star Lounge and Smart Bar. But as Gant-Man says, juke’s beauty is still its underground Chicago sound.